On Saturday 27 May, the project’s first community workshop took place within the Robinson Library, Newcastle University. Eleven people participated in this workshop. From the beginning, participants were introduced to the project, the workshop aims and objectives. For this workshop, it was important for the group to be introduced to the Gertrude Bell archive with the Robinson Library. 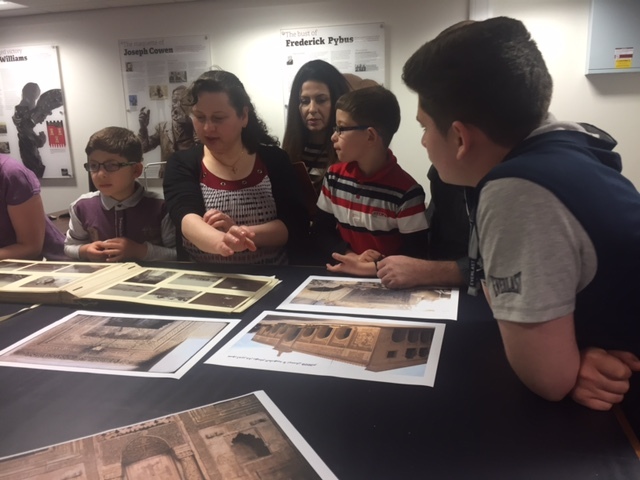 Once within the archives, the participants were able to explore specific images and knowledge in relation to places of worship. 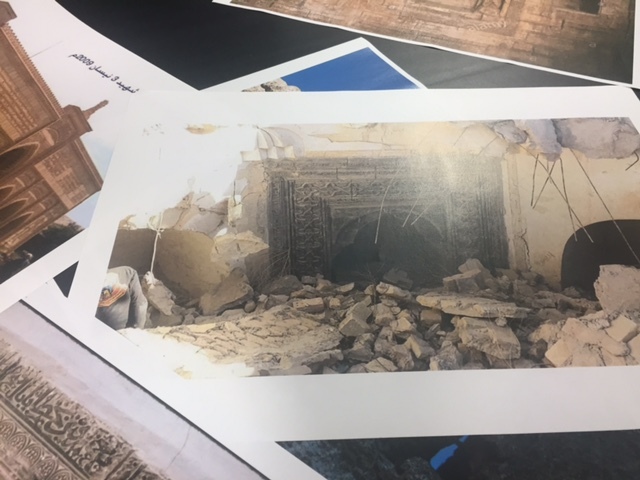 These images, books and documents were used to further discussions and reflections in relation to specific places in the Middle East and differences between histories and cultures and languages. There were also some activities specifically catered for the children that linked into the themes and areas of study, such as ‘home’, ‘identity’ and ‘place’. Responses to the archives, stories and ideas were collected using questionnaires, audio recordings as well as workshop evaluations. Feedback from the participants, details how much they enjoyed the workshop. The workshop activities stimulated them to contribute to their heritage and understand its importance for future generations. Further workshops are scheduled to follow. On Saturday 29 July, the second workshop in relation to the project took place within Newcastle University. Four people participated in this workshop. Dr. Mark Jackson was there to welcome participants on behalf of the university and explained the project as an opportunity to give participants the space to express themselves through research and creativity. 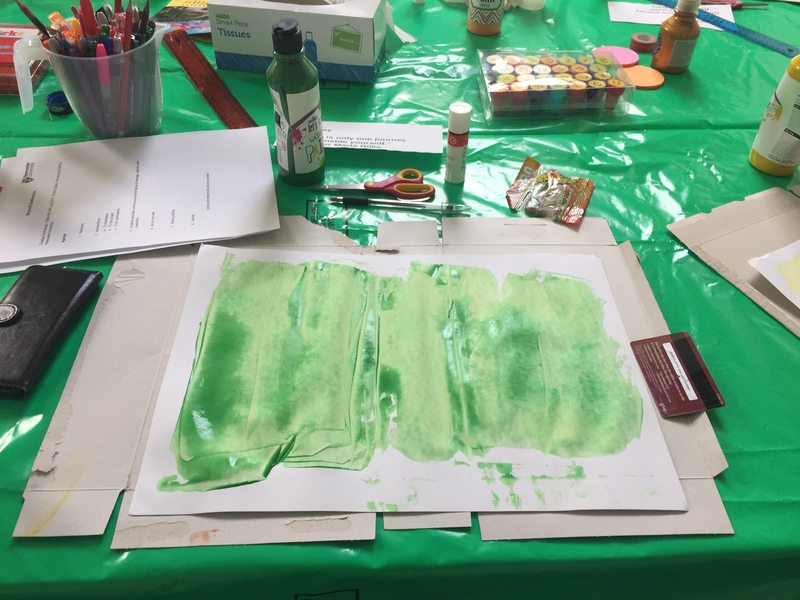 This workshop focused on creative activities including visual journaling; the mixing of words, images, collage and paints. This provided a safe space for participants to explore issues around journey, memories, heritage and identity. Responding to photography the from the Gertrude Bell archives as well as their own artwork, the participants shared stories that involved genocide, displacement and loss of identity, heritage and continuity. One participant also gave a presentation on her work on archiving neo Aramaic language. What emerged during the workshop was the realisation of reality; that there have been centuries of massacres and genocides and nothing seems to have changed. There seems no end to this destruction. What was proposed was the need for us all to recognise and accept the rights of every human being no matter who they are or where they come from. Education and law implementation play a vital role in these changes of attitudes and actions. Running throughout the summer, a selection of writers have been commissioned to produce a piece of writing in response to an image, text or both. This virtual workshop is aimed as producing varied and nuanced creative responses to particular resources within the archives. These creations will be featured on the page, The Creative Responses.